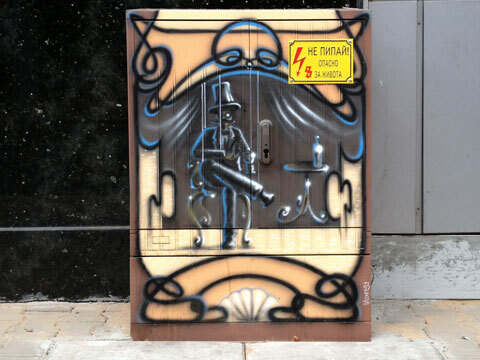 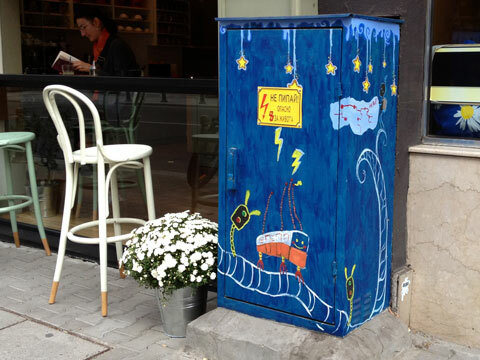 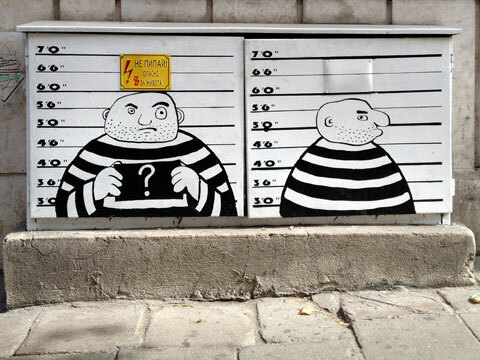 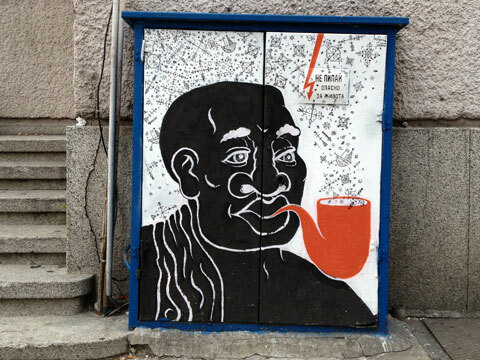 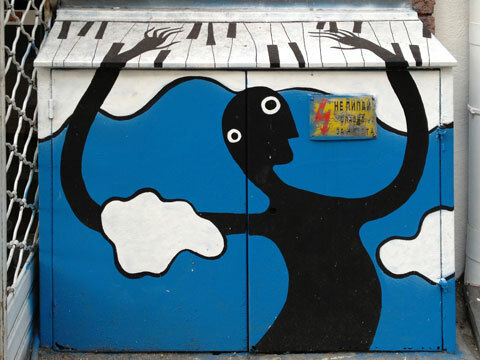 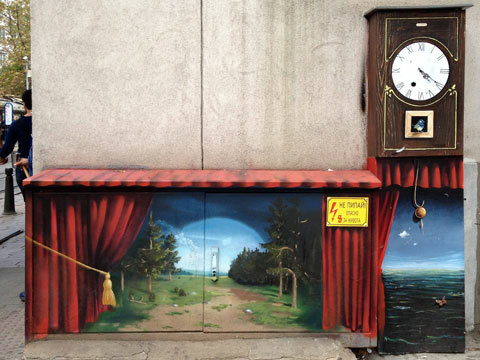 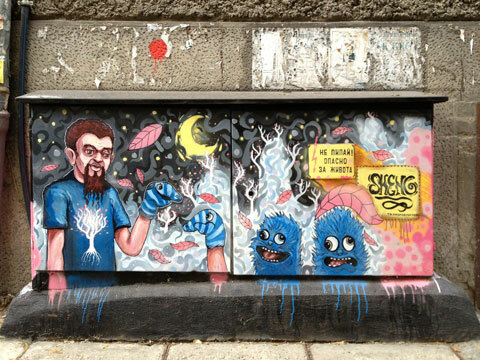 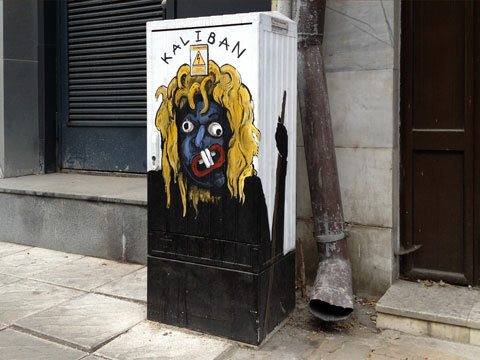 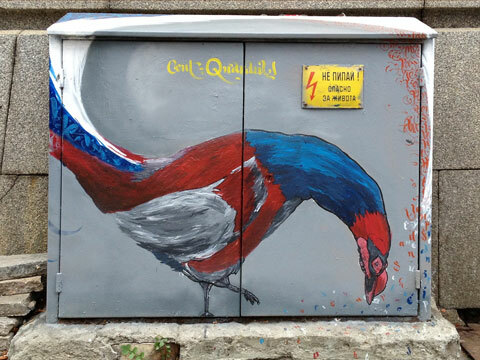 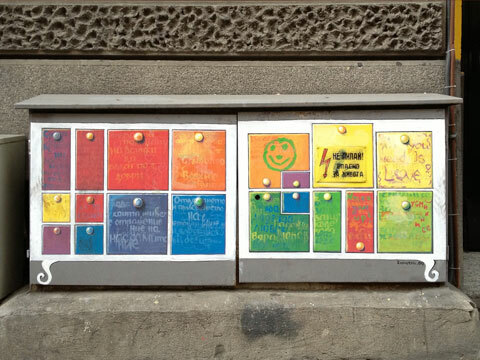 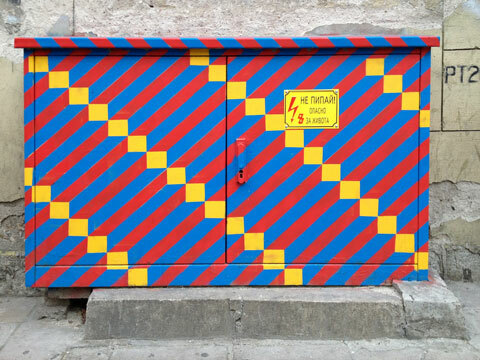 Electric utility boxes along Rakovski Street in Sofia got a facelift from local street artists last month. 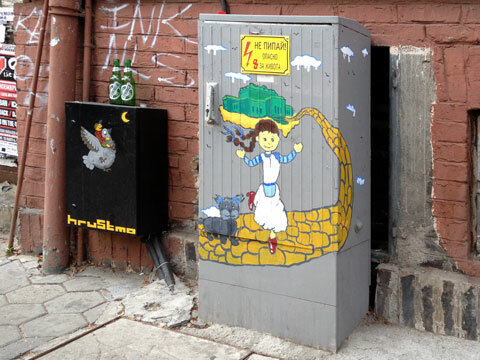 By taking into account surrounding establishments, the artists have added both beauty and humor to the otherwise mundane urban fixtures. 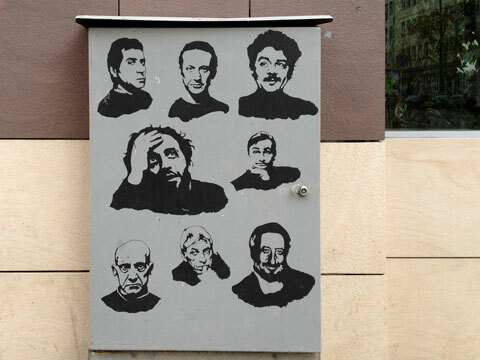 Featured above is a mug shot decorating the electrical panel outside the local police station. 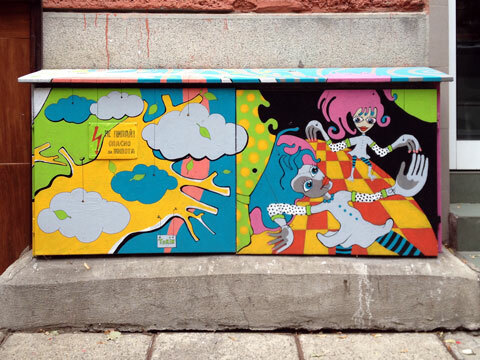 In all, 26 artists painted 51 utility boxes. 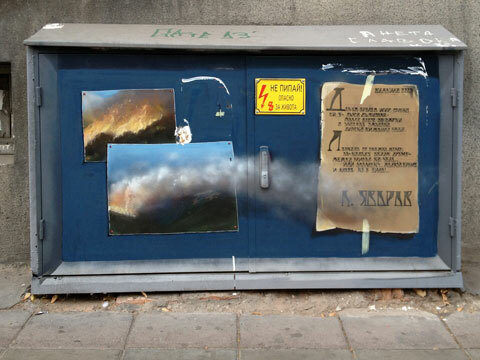 The campaign to beautify the dull gray boxes was organized jointly by the Transformatori association and the Sofia Municipality as part of the Invest in Bulgaria project to make the capital a more aesthetically appealing and inviting place.